Buck Solo Clip Point Folding Pocket Knife | BUDK.com - Knives & Swords At The Lowest Prices! Offering Buck quality on a budget, this new design from Buck Knives follows tradition with a handsome woodgrain handle design. The 2 1/4" clip point blade offers 420J2 steel construction and a razor sharp edge. Nickel silver bolsters, pins and the Buck shield complete the design of this Buck Solo pocket knife. 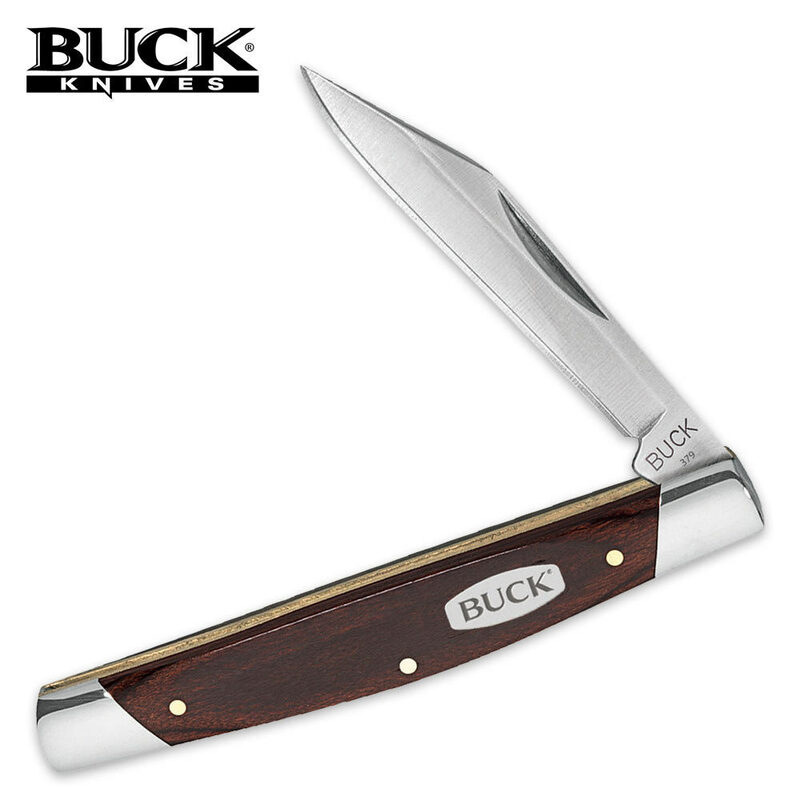 Since 1902, Buck has been a leading manufacturer of pocket knives, do you have one? Nice little knife. Good deal for the price. Not up to USA made standards, but very sharp blade and overall good fit and finish.